Local boy Chris Wolfe has some serious skillz:) He's an admin of Neil's Canberra and Southern NSW Dart Tag crew; he's one of the mad scientists at the local hackerspace and he takes the helm of "Combustable Props". One of his latest projects was this Warhammer inspired bolt pistol and I'm thinking it's pretty damn schmick indeed. We've got some more insight into the project, thanks to Mr Wolfe himself- check out the specs after the jump! 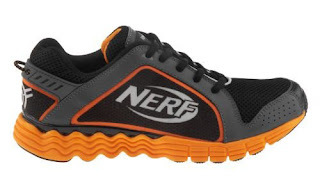 In case you found the Nikes were A) too abstract and obscure for your Nerf likes and B) too expensive and exclusive, maybe go for Reebok's Nerf inspired kicks with their considerably more literal interpretation on a Nerf sneaker. 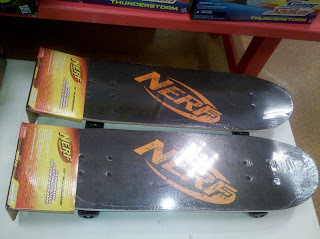 They are only for kids though, but that being said.. probably not my style:) Thanks to Jason for the heads up. Probably more one for sneaker freaks than Nerf affectionatos, but Nike have a new collectors sneaker in the Zoom KDIV; the Nerf tilt is it comes with a Nerf ball and basketball hoop (complete with retro Nerf logo). 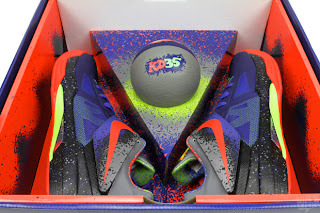 They're very very limited and while around 125 bucks on release, will very quickly go up in price as collectors go after them. More at the link below. 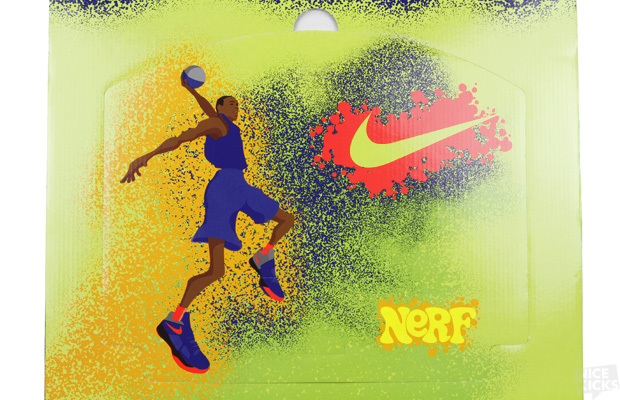 The NERF brand stands for "Non Expanding Recreational Foam" and was introduced to the world in 1970 as the world's first indoor ball. True to its origins, even to this day Nerf still produces foam sporting goods and foam firing blasters, and has expanded into non-foam related areas (Hasbro's questionable decision to brand its Super Soaker and Lazer Tag lines as Nerf puzzled many of us) but we're now really starting to see the brand being flogged off in all different shapes and sizes. 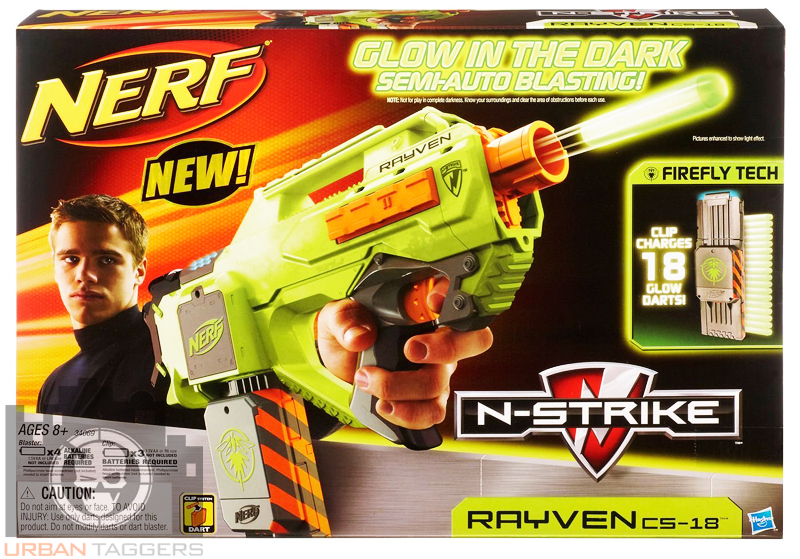 Coming from a communication pedigree, I totally understand why they'd want to exploit Nerf as a brand; for Hasbro it's not only the market leader but also one of the few brands they have that defies the odds in a struggling toy industry. The thing is, they're merely slapping the logo on totally unrelated products, and that for mine, just doesn't do it for me. 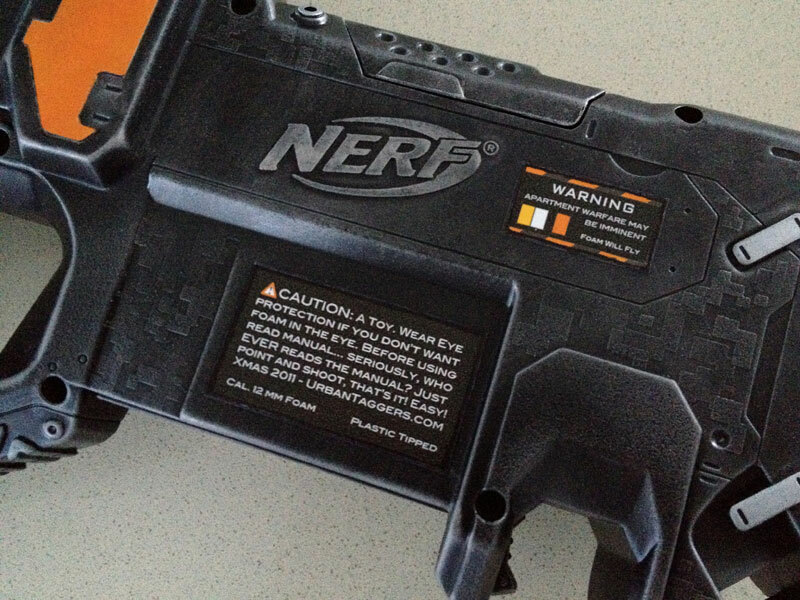 If they had put mounting brackets on these cameras for instance- say for a way to attach your camera to your blaster via tactical rails- I would see the link to the traditional Nerf blaster. 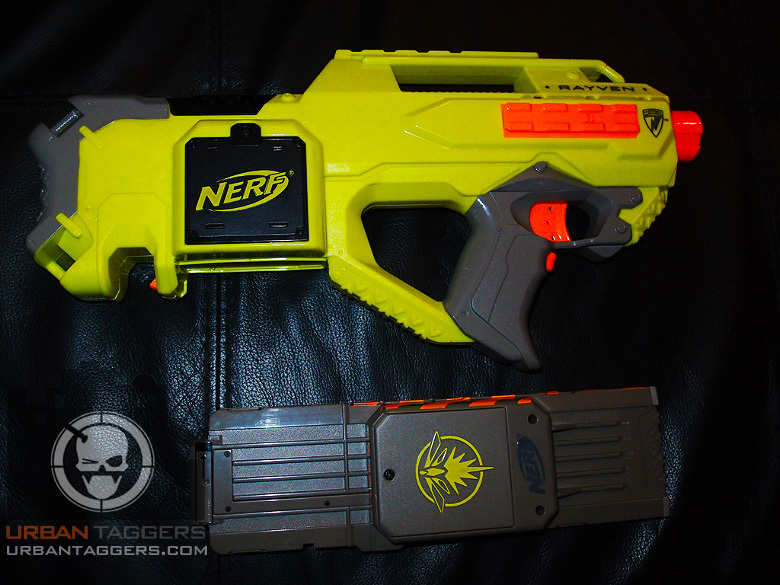 As they stand now, a paint job or orange and yellow doth not maketh a Non Expanding Recreational Foam product. The slapping the brand on scooters and skateboards is also a shameless plug of a brand on something totally unrelated. 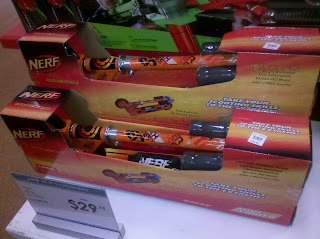 If the scooter had a way to mount your Nerf blaster to it, I'd again understand the link; OR if these were JUST promo items that were given away at events or competitions then I could understand that they were meant to promote the brand. But these are actual Nerf branded products.. again with nothing to do with Nerf as it stands. 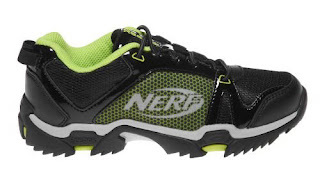 As always with Nerf, just because there's an "official" release date, doesn't mean stores aren't going to start carrying them earlier. 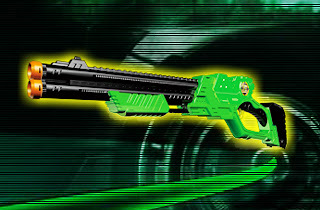 We've received many leads of the Rayven CS-18 being now available and in stock on Amazon for just under 60 dollars US and selling pretty fast. 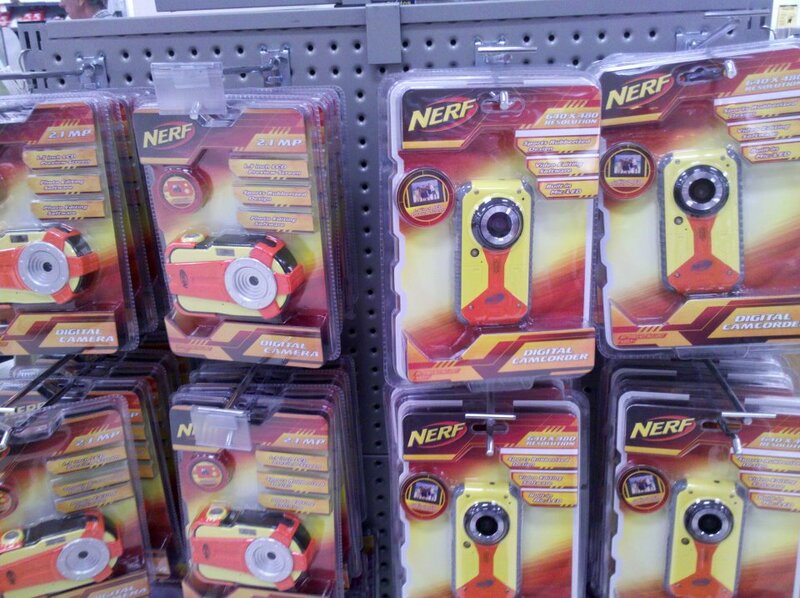 As for retail- Steve from our Facebook page has picked one up already; not Target, not Walmart, but of all places from a little pharmacy in Long Island, NY. Nice find! 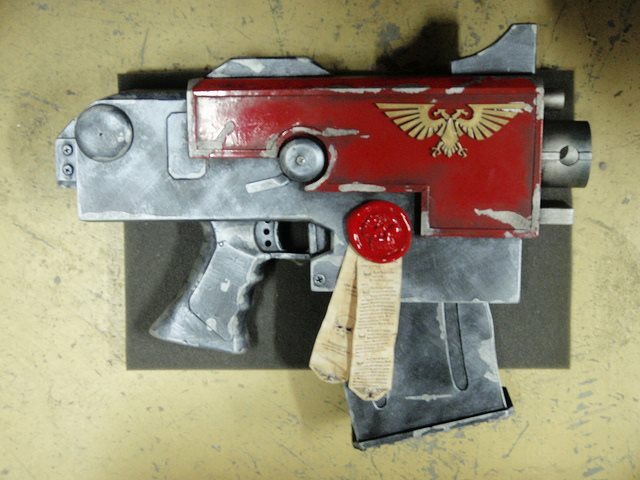 Thanks to Nerfenstein Aesthetic Mods for the incredible paint job.. yes, this COULD be yours! 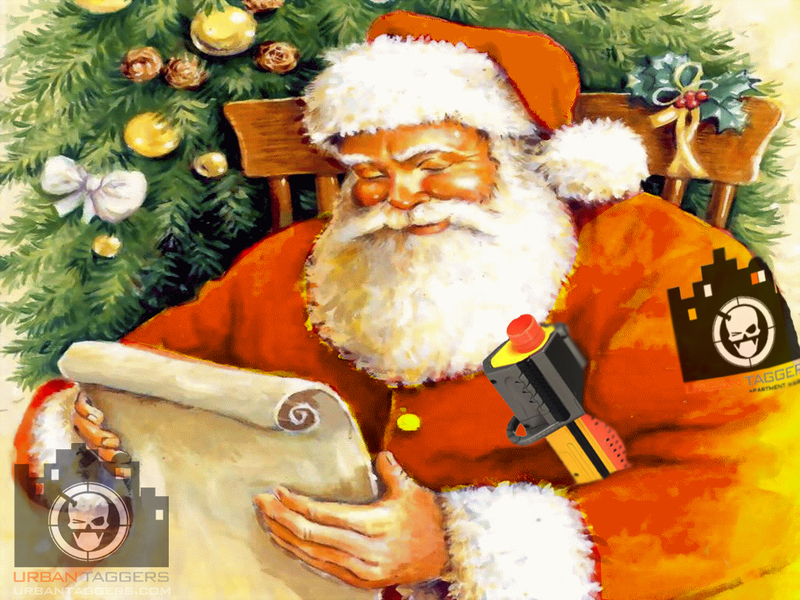 Here's a sneak preview of our first prize for the 'Nicest' member of the toy blaster community. Is that you? Make a case thru a letter, photo or video and this wonderful limited edition custom N-Strike Rayven CS-18 could be yours! Gotta be in it to win it. Details are here! 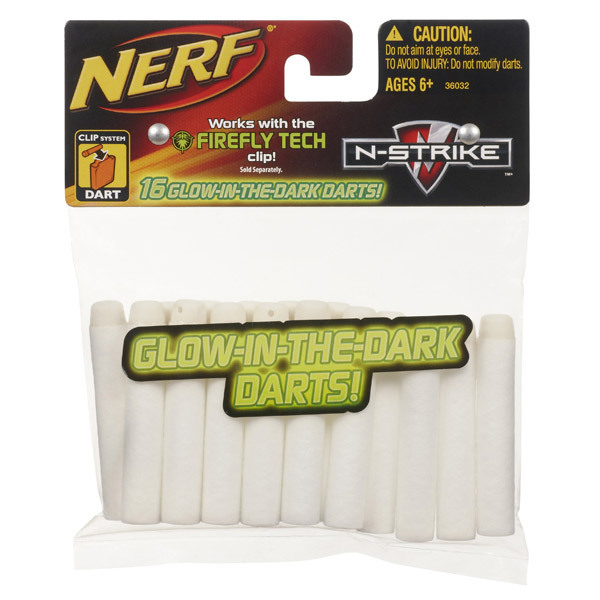 Smyths in the UK is listing the Nerf glow in the dark streamlines on their website. 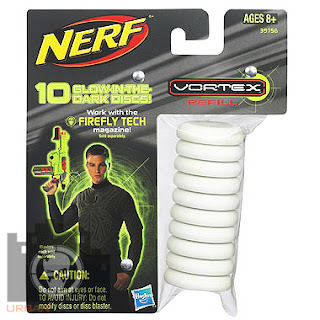 Note it's saying "works with the Firefly Tech clip"- I'll be interested to see if Nerf 1) release more 'Firefly Tech' blasters, and 2) sell the Firefly Tech clip separately? We made mention of an upcoming Nerf Vortex Lumitron a short while ago, but it was sort of glossed over given the fact it looks a LOT like a Vortex Praxis. 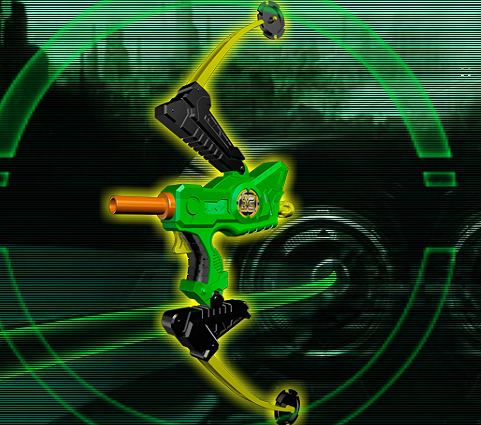 Speculation was even that it WAS a Praxis, but with just a new paint scheme. And then there was the speculation about the name, as "Lumitron" suggests cues to the word 'luminous'..to light up..
Soo, take the Rayven CS-18 and mix it with a Praxis and you end up with the Lumitron; a repainted Vortex blaster with a 10 round clip that features an LED light inside the clip to light up new glow in the dark XLR discs! Ingenious! 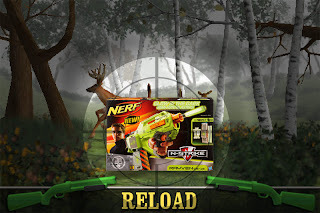 UPDATE: Amazon.com has it listed- although not available yet or with price, it does indicate availability is just around the corner. No idea when these will be out just yet, but I'd be suggesting similar timings to the Rayven CS-18. 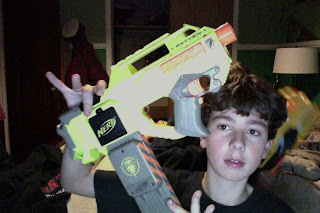 Thanks Thomas for the intel! UPDATED: Amazon.com has the Rayven listed; no costs or availability yet but it means it's a comin! Thanks Thomas for the intel. 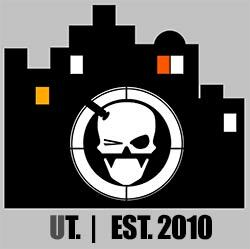 The 2011 Urban Taggers Christmas Giveaway! We've been talking about the much anticipated Nerf Rayven CS-18 for a while, but our well respected contact States-side has informed us that there's now very strong evidence to suggest the Rayven will be released around the end of January 2012 with a RRP of $39.95. 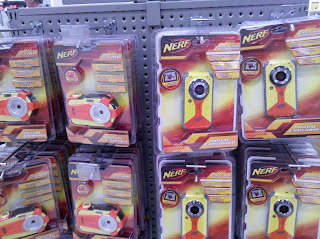 US e-tailers are already offering it for a bit cheaper, but in general you're still looking at that 35-40 buck mark. Thanks to Jason for the intel! 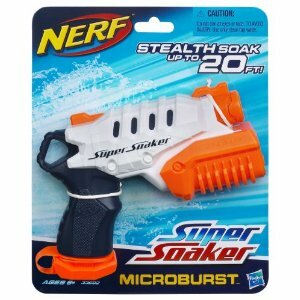 Another of the new blaster in the Nerf Super Soaker range is the Super Soaker Microburst. 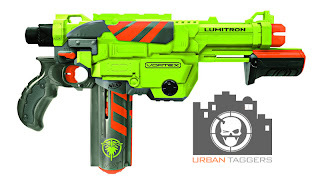 It's cute, and looks like a mini squished version of the Super Soaker Scatterblast, compete with sans trigger. 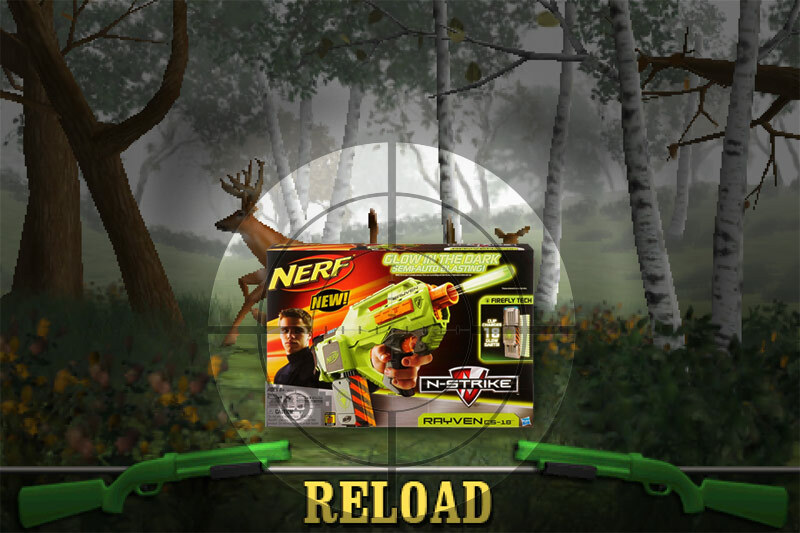 What, no trigger? Disappointed! 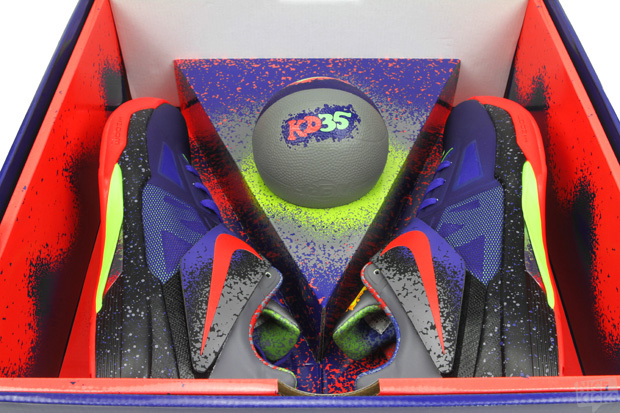 The weird thing is the prices of this on various sites are coming up around the 30 dollar mark. 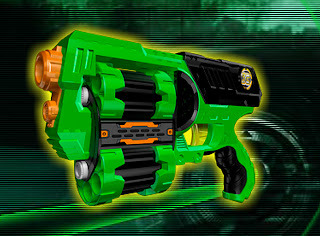 Which.. is WAAAAY excessive for a small water blaster with no trigger?! 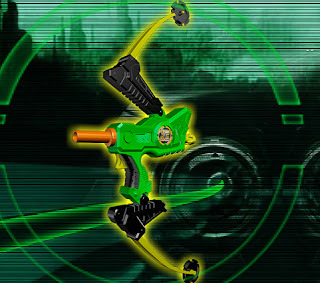 I always found Zuru's X-Shot line to be the dark horse of the toy blaster world. They came out of nowhere and originally their selling point was dual water and foam dart all in one blasters, initially bringing out an awesome side arm with the Stealth, an absolute rubbish Thundershot, an okay Sidewinder. 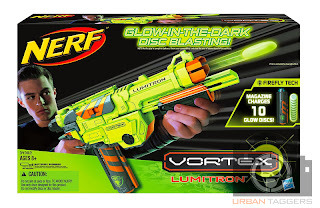 Then they ditched the whole water thing, and released the pretty damn cool Turbo Fire which actually made it on our favourite blasters list of 2011. 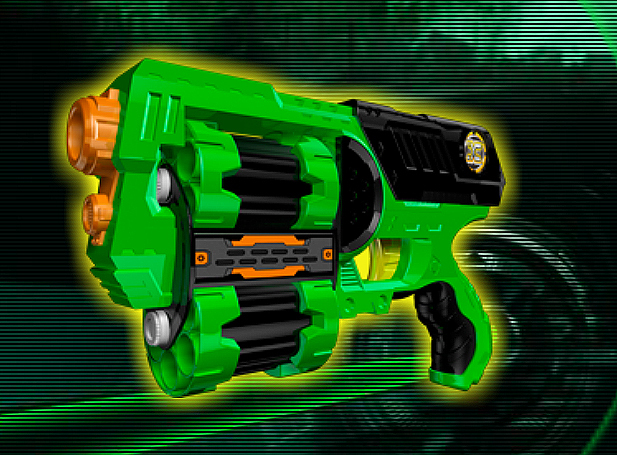 So we're pretty intrigued by the new blasters they're promoting on the official website which just look the bomb and if the Turbo Fire was any indication, should be pretty well priced.